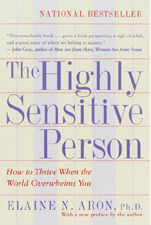 FAQ: Are highly sensitive people more creative and intelligent than other people? Good question for which I do not have a simple answer. Years ago we did IQ tests and we did not find any difference. However, taking an IQ test is not a very good measure of intelligence, especially for HSPs, because there will be the problem of stress and overstimulation. There is also the problem, yes, of differential susceptibility, which suggests that HSPs could vary widely in their abilities and confidence in their abilities depending on whether they grew up in a stressful, unsupported environment or in a very good one. So if you take the average of their test scores, the two extremes could balance into an average that is no higher than the non-HSP average. But the non-HSP average does not have the extremes because they are not subject to differential susceptibility. Further, if you try to take into account differential susceptibility, some HSPs are a complex combination—they may have been well supported in developing their intelligence, and had a poor environment emotionally. Further still, tests vary in what they measure, but they generally try to test general intelligence. Many prefer the idea that there are a variety of intelligences. Certainly an HSP has the potential for expressing a very unique form of intelligence, based on observing subtleties, processing them thoroughly, and perhaps finding intuitive and creative solutions. But perhaps they are not as good at ignoring extraneous information or making quick decisions. I am reasonably confident that on the average HSPs and non-HSPs are equally intelligent, even if in different ways. Not that one example matters much, but I know my non-HSP husband and I are both very intelligent and in quite different ways. Short answer here: More research needs to be done, and until then we don’t know. The question of our creativity is even more complex than the question of intelligence, because there is simply no good measure of creativity. Paper and pencil tests turn out to have little relation to “real life creativity.” To be able to find the one right answer doesn’t seem to measure creativity, which is more like coming up with many answers. One test designer attempted to get around this by having different colored tiles with which people could create a mosaic, and he counted the number of different colors used in various ways as the measure of creativity. However, the person who was really the most creative noticed that all the white tiles had slightly different shades to them. Using these, he made the most interesting design, but his score on the test had to be counted as zero. I don’t know of anyone who has tried to test creativity in HSPs or one of the related traits. Certainly it makes sense that they would be more creative, given their depth of processing, but we simply do not know. I do know that they have more complex and interesting dreams, as I asked that on some of the questionnaire studies. My experience is that this is associated with creativity, but only in those HSPs who have the confidence to express their creativity in real life. Since many HSPs have low self-esteem, this interferes with their expression of creativity as well as their expression of their intelligence. Giftedness has also been associated with being highly sensitive. 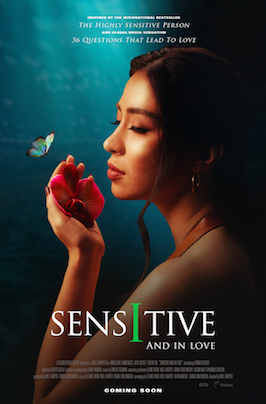 When I was looking in the nineties for any scientific articles about sensitivity, the research on giftedness was one of the few places where I found sensitivity even mentioned. Giftedness is said to occur in 3% of the population, however, so even if most gifted people are highly sensitive, highly sensitive people are not always gifted since they are 20% of the population. Giftedness, too, seems to come in many forms so that I hesitate to categorize people as gifted or not gifted. Certainly many non-HSPs are quite gifted, but perhaps not in the ways that HSPs generally are. How’s that for not answering? I think basically I prefer to preserve the idea that HSPs and non-HSPs are different yet equal. Human beings have a very hard time seeing two things as equal. Think of North and South, right and left, salt and pepper, dog and cat, up and down, London and Paris, or East and West. You probably have one of the two that you think of as a little better or preferable to you or associated with something you like. Especially with two types of people, we are prone to see one group as better than the other. So I challenge you to think of these two groups as different but equal. They survive in different ways and use their energy in different ways, but I think we need each other and we will support each other and benefit from each other more if we can come to see each other as equals.